Sputnik has discussed this with Daniel Kovalik, lawyer and author of "The Plot to Scapegoat Russia." Sputnik: What is your take on the statement made by the US congressman? Can Trump face impeachment if he does pardon Manafort? Daniel Kovalik: Well look, I guess the Congress can try to do whatever it wants, but I don’t see pardoning Paul Manafort would provide any legal basis for an impeachment. The president has almost unlimited pardoning power. I don’t see why this case would be any different than any other. I mean, you look at the most famous pardon; of course, Gerald Ford pardoned Richard Nixon, that seems even more controversial than this would be. This is all happening in the context of the Russiagate scandal and none of the allegations against Manafort have anything to do with Russia. Sputnik: What are your thoughts on the progress of this case so far? And what has come out during the trial? Daniel Kovalik: Yeah, well, I mean it does seem to me that it's probably likely he will be convicted of some improprieties in terms of money laundering and tax evasion. That would not surprise me at all, again though; it’s very telling to me that this trial, which is probably going to be the biggest trial to come out of the Russiagate scandal, has nothing to do with Russia. This is kind of a sideshow to the extent it involves a third country, it’s the Ukraine. So yeah, he may be convicted of some crimes, but I think it’s important for people to focus on the fact that whatever crime it is, it won't have anything to do with alleged collusion with Russia. Sputnik: Now I think the next trial, that’s going to be starting on September 17th, is having to do with foreign lobbying and money laundering, could that be potentially linked to some kind of collusion? As a lawyer can you tell us what exactly is collusion? Daniel Kovalik: Collusion, first of all, I’m not sure is a legal term, I think conspiracy would be more of the proper legal term. And that is, in this case at least, the allegation would be that people in Trump's campaign conspired with Russian officials to somehow influence the 2016 election. To prove that you would have to prove, one, intent of both officials in Russia and the Trump campaign to affect the election. They would have to have conversations in order to plan for such a tampering with the election and then three, you’d have to have a predicate act. That is, they had to have done something to further that conspiracy or that agreement to impact the election. And again I haven’t seen any evidence of that sort of alleged conspiracy at this point. Sputnik: Is giving money, financial contributions could that also be considered conspiracy? Daniel Kovalik: Well, if it were done in furtherance of an unlawful act it would be. And in this country there are regulations against receiving foreign assistance in an election. So if the Trump campaign knowingly took money from the Russian government for its campaign, yes, that could probably present a legal issue for them. 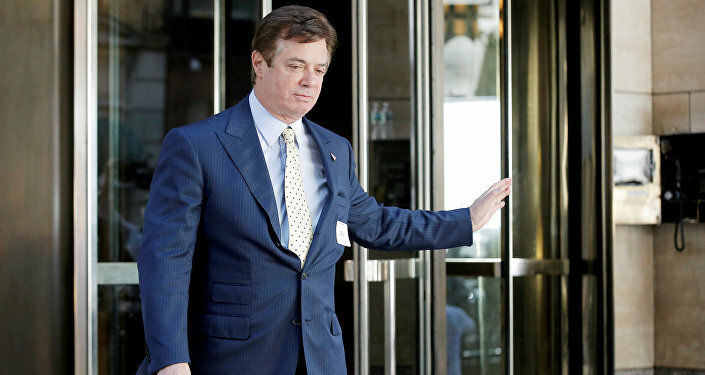 Sputnik: What kind of outcome do you think it’s likely we will see with Mr. Manafort? I think there's 18 counts against him in this first trial, he could face up to 305 years according to some reports? Daniel Kovalik: He’s a senior man to begin with. I mean look, I think there's probably a good likelihood that he will serve some very serious jail time here. Though nothing to do with Russia. It’s one of these things. Once the state decides it wants to investigate someone, usually it’s able to find something on that person. In this case they found these, probably, improper financial dealings with Manafort but nothing to do with Russia, which again says a lot about where this investigation is probably headed. Views and opinions expressed in this article are those of Daniel Kovalik and do not necessarily reflect those of Sputnik.